Meet the knowledgeable and caring management team at the Gardens at Columbine. Since 2000, we have had a leading reputation for assisted living. Jeremy has literally grown up serving seniors in a variety of ways. As a strategic leader, he brings a balance of first-hand knowledge of the industry and comprehensive problem solving to the role. He has held several positions within the Meridian Retirement Communities group, now managed by Brookdale Senior Living. His career path started as a bingo caller and Easter Bunny, and led to Business Office Manager and finally to Executive Director, including oversight of more than one community. Since joining The Gardens, the residents have enjoyed his friendly, hospitable approach. Jeremy and his wife Kim live in Arvada with their two adorable beagles. They enjoy spending time with their large extended family and learning new things. They spend quite a bit of time preparing new recipes, dancing, boxing, hiking…and anything they can do outside. Marci has been a nurse at The Gardens since 2000. In addition to her Assistant Executive Director role, her other responsibilities include overseeing Health Services. 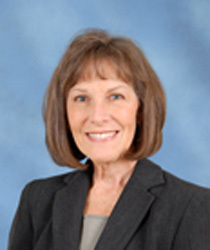 She is a Certified Senior Dementia Trainer and is also the Director of our Memory Care Residence. Marci has had experience in skilled nursing communities and hospitals before coming to The Gardens at Columbine. Marci came to The Gardens in April of 2000, a month after the community opened. She started as a nurse, and was promoted to Health Services Director in 2005 and was recently appointed Assistant Executive Director. The residents, staff and families touch her heart every day. To Marci, The Gardens at Columbine is her second home. Marci and the health services staff, strive for excellence in caring for the residents each and every day. She has made extensive strides in developing Memory Care and building a cohesive and caring staff who love and care for those residents. Marci’s other interests include scrapbooking, spending time with her family and Sudoku. Cyndy has extensive experience in sales, marketing, public relations, teaching, corporate speech coaching, event planning, voice-over, print modeling, and music and drama ministry. After she graduated with a Speech and Drama Degree from Mount Union University, she conducted corporate training seminars and designed office workflow plans as a Xerox Corporation Systems representative. Her creative applications won corporate awards for increasing revenue. As a Realtor with a GRA designation she was awarded “Top Producer” for Baird and Warner Residential Real Estate Company in Illinois where she specialized in representing senior clients. She began in sales for upscale Senior Living Communities at the Lakewood Meridian just after moving to Colorado. She served as the Community Sales Director for Atria Inn at Lakewood and before joining the team at The Gardens, was a Sales Counselor at Vi in Highlands Ranch, formerly known as Classic Residence by Hyatt. 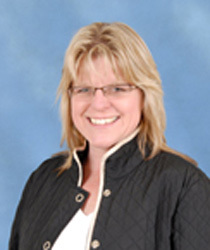 Candace has over 20 years of experience with managing Human Resources offices. Prior to joining the Gardens’ team in 1999, she worked in the hospitality industry at the corporate office for a restaurant chain. She found The Gardens, serendipitously, when a friend told her there was a Human Resources Director position available at a “start-up” Assisted Living Community in Littleton. She is known for her compassion and genuine insight when qualifying prospects for career placement at The Gardens. Regardless the outcome of a candidate’s inquiry, Candace is able to conclude the meetings on a positive note with encouragement for their next steps. Candace developed her Human Resources department before the doors opened for residents in 2000. She created the platform for a very successful HR model. Her continued training and research for best practices keeps the Gardens’ hiring process as one of the most user-friendly in the industry. Her responsibilities are vast. The hiring process begins with her. There are five departments that require staffing. To assist the department directors she conducts the initial employee orientation. She has initiated new-hire programs which give new employees a chance to write reviews of the orientation and she arranges new hires to meet department directors for special lunches. There are two employees voted every month as “employee of the month”. Her department collects the ballots and announces the results at a monthly Resident Council meeting. In addition to the hiring phase, Candace is responsible for processing payroll, coordinating the safety program, administering all the employee benefits programs, and complying with Workers’ Compensation. Some of her other interests include spending quality time with her family and friends, reading, hiking, video production, scrapbooking and playing Wii with her daughter.